Celebrating Dan's 30th(!!) birthday with a weekend visit from his parents. I baked a chocolate cake with white frosting, as usual, and decorated it badly, as usual. But it still tasted great (as usual)! We had tickets to a baseball game on Saturday, which unfortunately was cancelled after a 4+ hour rain delay. Other than watching less baseball, it wasn't much different than going to an actual game. We still got to eat ballpark food and hang out for a few hours, which is my favorite part anyways! 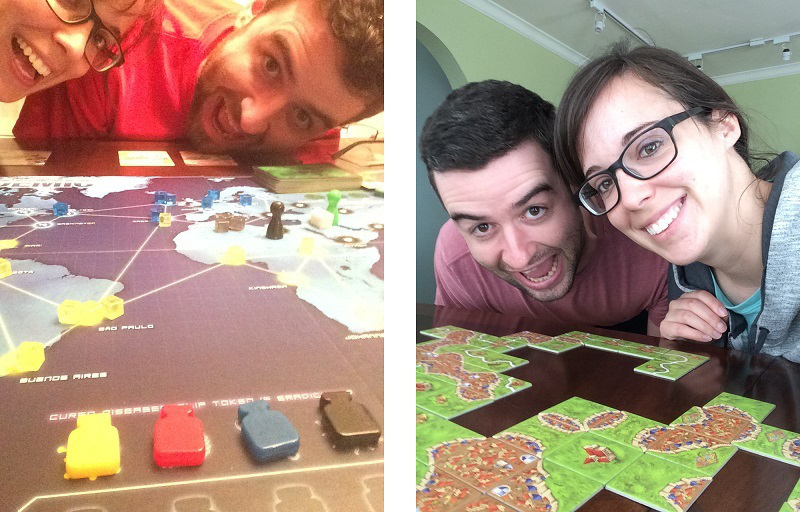 Curing diseases with Pandemic and building cities with Carcassonne, the new board games that Dan got for Easter and his birthday. I particularly like Pandemic since the players work together to beat the board instead of competing against each other. It's a nice change from always losing to Dan who is super good at board game strategy. Playing Rock Band with Kathy, Jason, Elena, and Darown. This game may have fallen in popularity since its initial surge, but it is still so, so fun. We also enjoyed a delicious smoked turkey, courtesy of chef Jason. Finishing the installation of our new closet shelving. 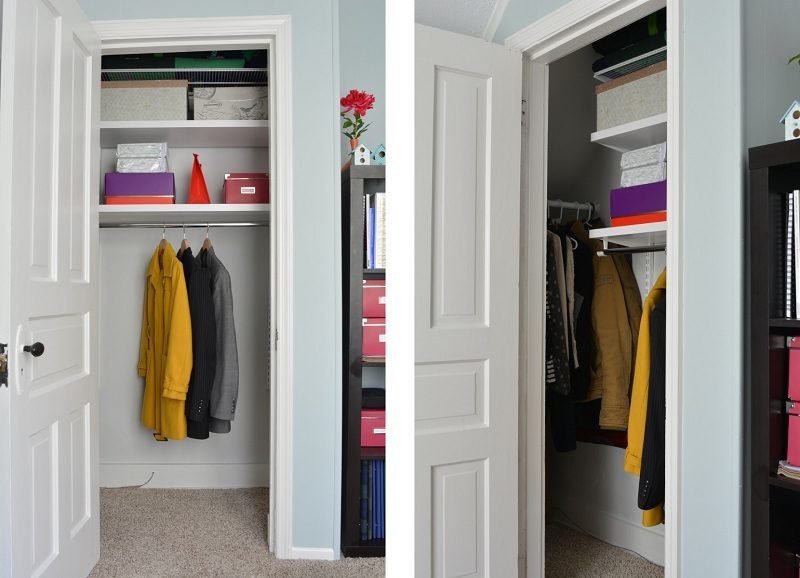 This closet is wide but has a narrow door, so it was difficult to retrieve anything from deep into the left side. I removed the original shelf several weeks ago, accidentally knocking out a fair bit of plaster in the process. After a crash course in replastering, a few coats of paint and primer, and a few hours of shelf-hanging, we have a much more functional closet. Sewing this bench cushion for Dan's parents' beach house. I followed a tutorial from Pretty Handy Girl, but this project was still a nightmare resulting in multiple puddles of tears. It's done and looks decent, but I'm so glad to be finished with it! Making this little potholder for Kathy's birthday gift. I had been wanting to try this cute tutorial from Nana Company, and the fabric was perfect for Kathy who makes such delicious cupcakes! My stitching is a little wiggly in some parts, but I'm still happy with it. We're all booked up for the next few weekend with lots of fun activities. I just need to find some time to plant my flowers and garden soon!